The Best Contemporary Art Magazines from thousands of Contemporary Art Magazines on the web using search and social metrics. Subscribe to these websites because they are actively working to educate, inspire, and empower their readers with frequent updates and high-quality information. Contemporary Art Magazine newsletter is a comprehensive summary of the day's most important blog posts and news articles from the best Contemporary Art Magazine websites on the web, and delivered to your email inbox each morning. To subscribe, simply provide us with your email address. Richmond CA About Blog Hi-Fructose showcases an amalgamation of new contemporary, emerging as well distinguished artists, with a spotlight on awe inspiring spectacles from round the world. Facebook fans 701,673. Twitter followers 51,375. Asia Pacific About Blog Ocula is the world's leading online contemporary art platform from the Asia Pacific region. Ocula's audience of artists, collectors, gallerists, curators and art enthusiasts, enjoy in-depth access to the programmes of the world's leading contemporary art galleries, and highly regarded original content, all in one site. News about exhibitions, galleries, artists and the art market from around the world. Facebook fans 56,059. Twitter followers 4,262. About Blog Spike is a bilingual English/German contemporary art magazine, online platform and event space with offices in Berlin and Vienna. Contemporary Art, News, Reviews, and Culture. Facebook fans 13,176. Twitter followers n/a. About Blog ArtAsiaPacific magazine is the leading English-language periodical covering contemporary art and culture from the Middle East and Asia-Pacific. Facebook fans 9,256. Twitter followers 9,562. Los Angeles, CA About Blog Art and Cake is an online art magazine with a focus on contemporary art in Los Angeles. Facebook fans 2,306. Twitter followers 766. About Blog Juliet is a Contemporary Art Magazine since 1980. In 1980 in Trieste, Roberto Vidali, Antonio Sofianopulo, Oreste Zevola and other dreamers, give life to a new magazine of information and theory dedicated to contemporary artistic expressions, free from the institutional logic of its time. Facebook fans 18,124. Twitter followers 1,299. About Blog Art Reveal Magazine is dedicated to promote and publish independent artists from all countries and all genres of visual art. Each issue of the magazine will present several contemporary artist portfolios and their artistic statments. Interviews and articles will help artists to promote their works to a broad publicity. 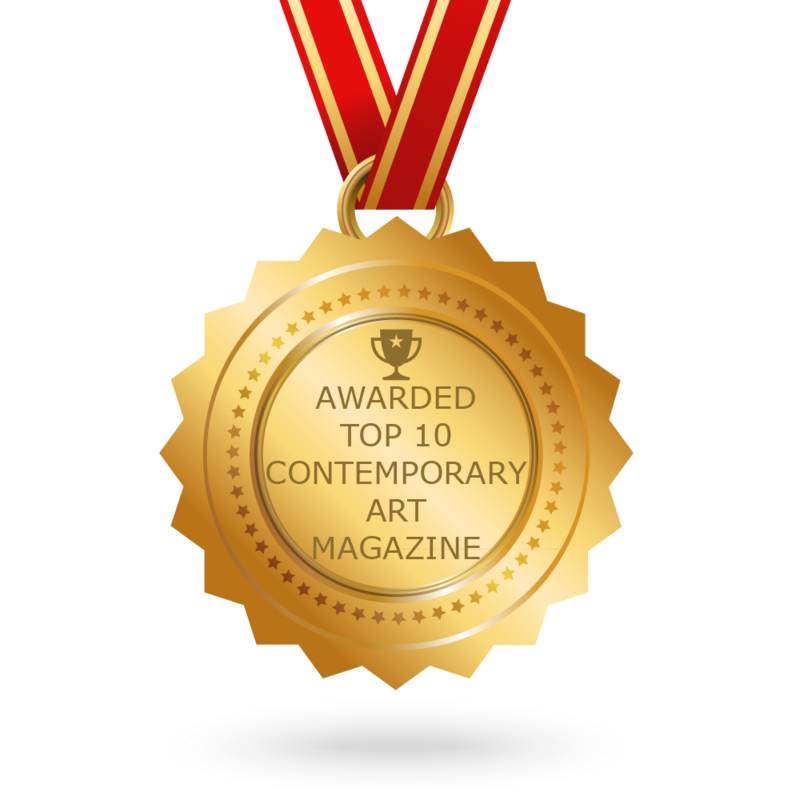 CONGRATULATIONS to every Magazine that has made this Top Contemporary Art Magazines list! This is the most comprehensive list of best Contemporary Art Magazines on the internet and I’m honoured to have you as part of this! I personally give you a high-five and want to thank you for your contribution to this world.